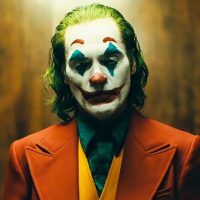 I feel like I’m the only person in the world who actually liked Suicide Squad, and since nobody liked it, the new movie all about the Joker, is coming from a completely different canon. No Jared Leto here. All that said, The trailer looks really great! I love taking a look at the psyche of one of the most iconic villains in all of comics or honestly in all of entertainment. The scary part about it is how, at least in this trailer, it looks like his descent into madness is somewhat justified, or at least relateable for some people. That’s the mark of a well-written villain. Looks like it’s coming out October 4th, and I’m definitely going to be watching.